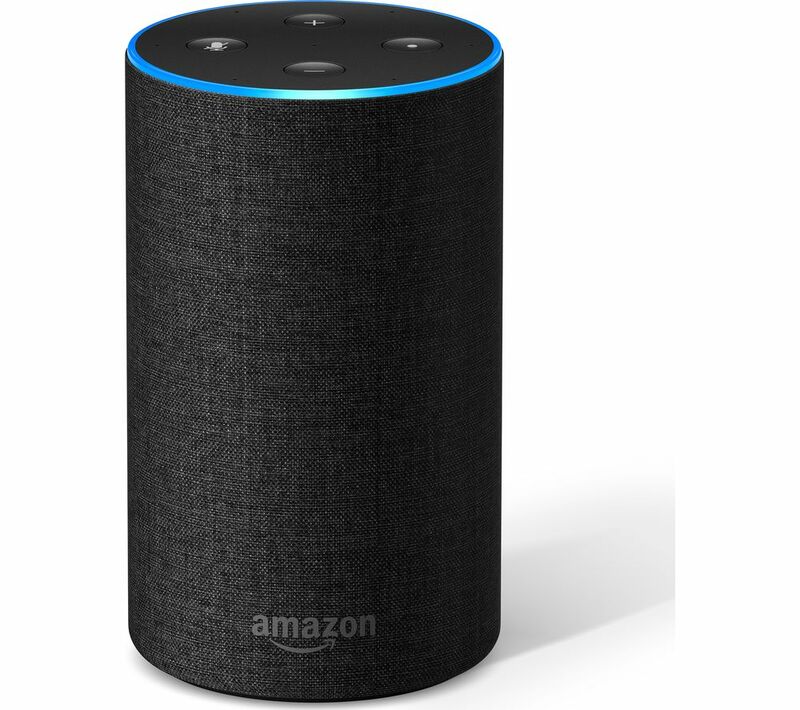 Top features: - Voice-controlled speaker for effortless access to music and more - Immersive audio to bring your music to life - Voice-control your home for convenience and peace of mind - Hands-free calling and messaging for easy connections Voice-controlled speakerThrough the Alexa Voice Service, the Amazon Echo lets you find and play music, ask questions about anything, get the latest sports results and weather reports, and much more by simply asking.If you have an Echo in several rooms, you can command Alexa to play jazz in the kitchen, pop in the living room, or play the same song in the entire house. 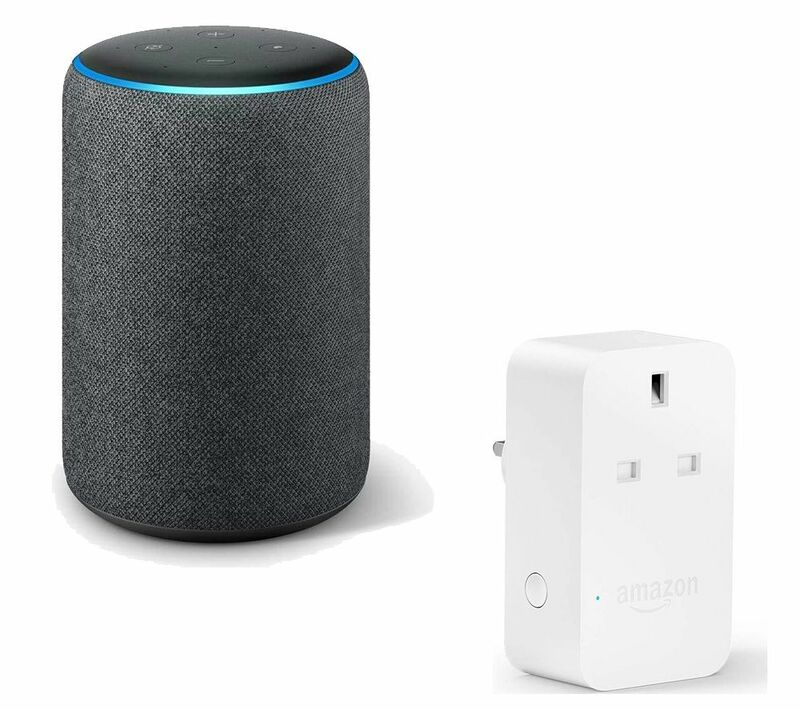 This is available for Amazon Music, Tune In and Spotify (coming soon).Immersive audioFeaturing a 2.5" down-firing woofer and a 0.6" tweeter, the Amazon Echo delivers crisp vocals and dynamic bass to bring your favourite music to life.Voice-control your homeCompatible with products from WeMo, Samsung SmartThings, Philips Hue, Hive, Netatmo, TP-Link, Nest and more, Amazon Echo works with lights, locks, switches, thermostats and more to make your life at home a little easier. Dim lights for your kids to fall asleep, turn up the thermostat while curled in your favourite spot with a good book, make sure the front door is locked, order pizza, and much more. 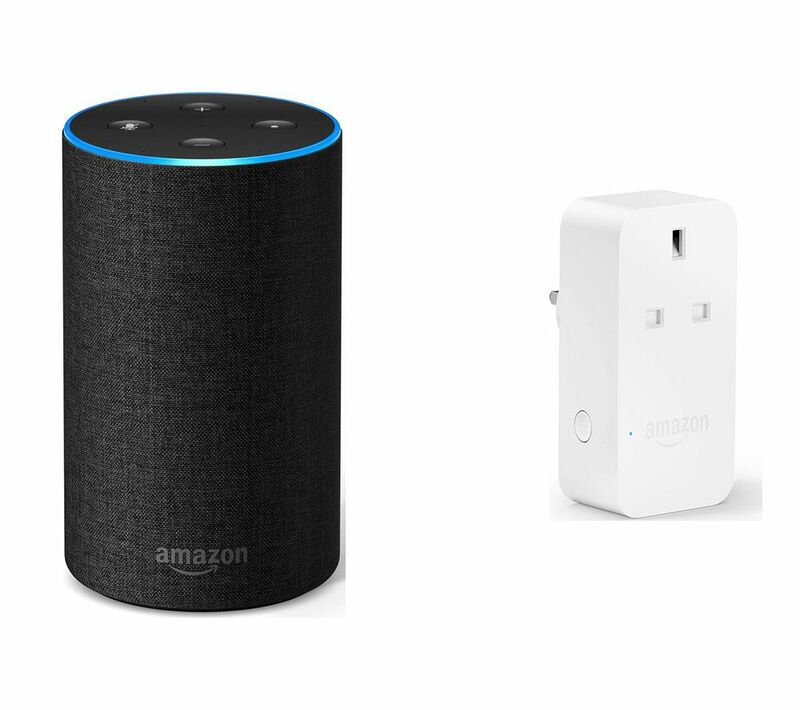 Hands-free calling and messagingWith the Echo, staying connected to your friends and family is effortless. 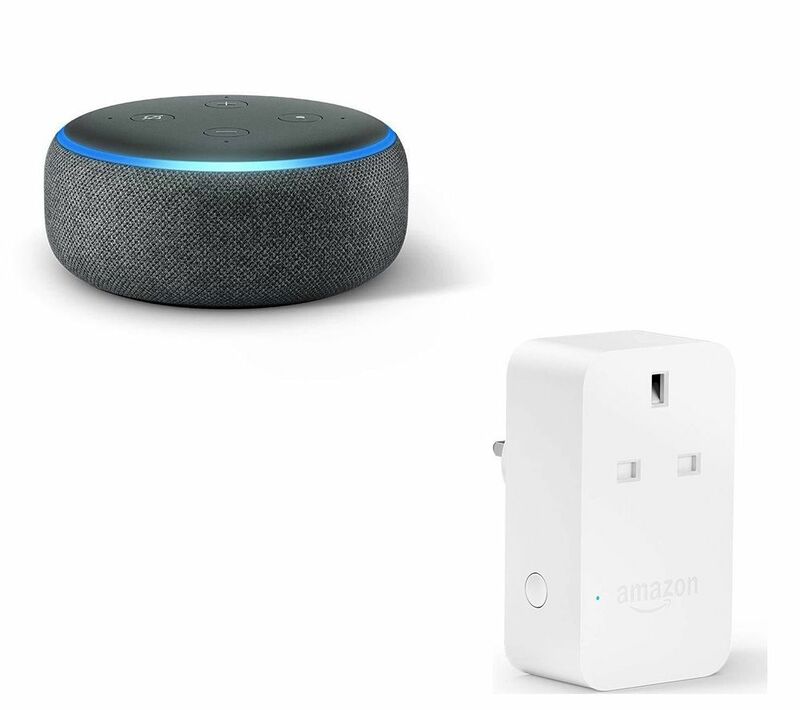 Without tapping or searching, you can easily send messages via voice or text or talk to anyone hands-free who also has an Echo device or the Alexa App.